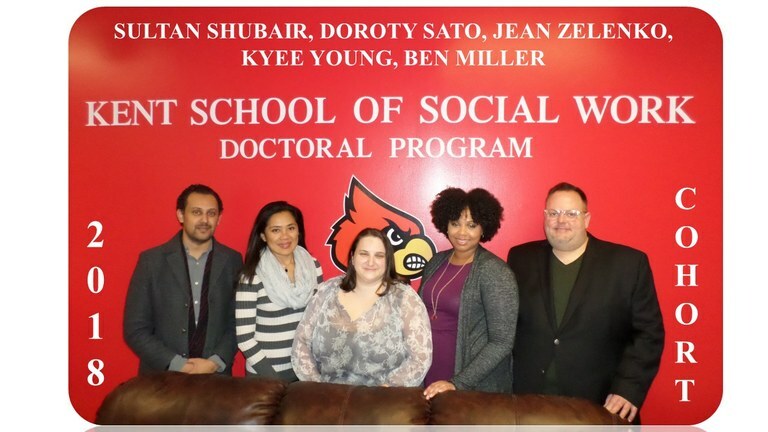 The PhD program in social work at the Kent School of Social Work, a joint program with the University of Kentucky's College of Social Work, prepares academically motivated master's level social workers to take on teaching, research, administrative, and policy analysis positions. The program focuses on building research, teaching, and analytic competencies through courses on social (work) theories, advanced research design and analysis, teaching, ethics, special topics seminars, guided research practicums and independent studies. Students have the opportunity to collaborate with a diverse group of nationally recognized faculty within the school and university with expertise in the areas of social and child welfare, child & family well-being, gerontology, health & mental health, justice & criminality, school social work, substance abuse and international social work. Along with coursework, students are guided in developing expertise in an area of social sciences research. Areas of research have included examination of social and health disparities, social work interventions, predictors and risk factors for substance abuse, long term effects of maltreatment and trauma, and evaluation of training programs, to name just a few. Students are also mentored and supported on becoming a faculty member, and balancing research, teaching, and service as they prepare for their future career. Graduates of our program have gone on to work as faculty members in schools of social work nationally and internationally as well as in a variety of other research, administrative and policy positions.